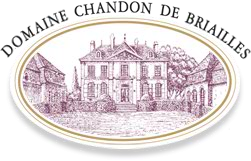 Chandon de Briailles is a well-known name in Savigny-lès-Beaune, in Burgundy, but it is also a long history. Owned by the same family since 1834, this domain of 13.7 hectares is today managed by Claude de Nicolay and her brother, François. For almost 30 years, producing wines for laying down and keeping has remained the house doctrine. The domain had invited us to overview the last 25 years of their existence through one of their emblematic wines: the Corton Grand Cru Rouge Bressandes. It therefore seemed appropriate to us to present you this meeting by starting at the beginning, basing ourselves on the vintages and the tasting commentaries, to better relate a quarter of a century of the evolution in viticultural and oenological practices of an emblematic domain in Burgundy.